The Chicago Park District board of commissioners recently added two parks, bringing the total to 43 parks named after African Americans who have played instrumental roles in shaping the city’s legacy. Park #558, 10609-15 S. Western Ave., was named King-Lockhart Park at Wednesday’s board meeting in honor of firefighters Patrick King and Anthony Lockhart, the latter of whom was African American. The new park serves as a memorial to the two firefighters who lost their lives battling a fire at that site in 1998. At the December 2011 meeting, the board of commissioners honored internationally acclaimed Chicago jazz musician and former owner of the Velvet Lounge Fred Anderson with a park named in his honor at 16th and Wabash Ave. Features within parks have also been named such as the October 2011 dedication of a playground at Cole Park, 361 E. 85th St., after fallen Chicago police officer Thomas Wortham. Additionally, the Dr. Margaret T. Burroughs Gallery in the South Shore Cultural Center, 7059 S. South Shore Dr., was dedicated to the late commissioner in February 2010. 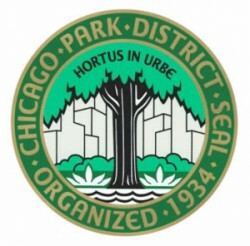 Chicago parks are named in honor of such influential African Americans as Gwendolyn Brooks, George Washington Carver, Lorraine Hansberry, Mahalia Jackson, Dr. Martin Luther King, and Harold Washington.